Just CABAL will be okay for me. Don't throw me into the briar patch. You and your silly little words. …and those who are prideful and refuse to bow down shall be laid low and made unto dust. because i liked the shape. I just changed the top cannon to a rocket launcher to make it more suitable ingame, where you can't have one weapon that fires from 3 different positions. Hey LKO, I just noticed the Dig animation in your little tripod gif. Would it be possible to remove the tripod from the actual animation so the animation could be used as the new subterranean dig animation? sure. But i'll better make a completely new one, so it's bigger and works better for sub-units. I also have to slightly alter the colors so they work better with the TI ground. Well, we don't usually create stuff from scratch with SHP Builder. Most 3d artists uses 3ds max to render sprites and uses SHP Builder to convert them into .SHP files. how do u put it in the game? Either you make a mod using those shp (and follow the link given by Lin Kuei Ominae),or you wait until somebody else do it,but it might take forever and the units may not be used the way you would like them. Note: if you come back a 3rd time,try to make more completes questions/requests,because it's hard to know what you want to do and/or can do with just that little question. i want know more of the SHP MECH animation. Due to tibwebs soon end, this topic updated with all tibweb exclusive SHPs and everything uploaded on my ppm ftp . Posted: Tue Feb 26, 2013 10:34 pm Post subject: Redeemer from TW? 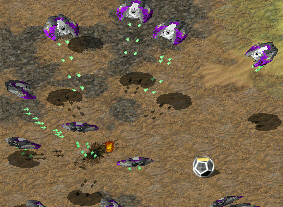 Any chance getting Redeemer from Tiberium War into TS? I it will be very appealing to use it for core defender. Hey, LKO, I just realized that one of the vehicles is called Urbanmech. And we can't have that now, can we? 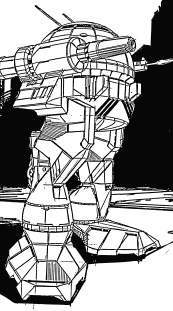 The name Urban Mech was Corsairs idea, as it had to match his other urban units like his urban tank etc. It wasn't following any public design, but the one Corsair invented (he even had a voxel version of this). So i'm afraid no, you can't have the one you posted. The above animations above are from me, so please credit me if you release a mod with one of them. The following anims are just conversions from other games and don't need to be credited. The TD Samfire anim converted for TS. I think it looks pretty cool in TS. Lin Kuei Ominae, since I am using protons too for Yuri, that green animations would be awesome to fit! I just need to convert them into RA2 anim or unittem pallete and thats it. Lin Kuei Ominae, on the behalf of helping alot of newbie modders like me, may I take your Exciter, Behemoth, and the Nod Redeemer for my mod? These are public assets. Feel free to take what you want. Just credit me if you release the mod with these. How could one get the Ion Charge Collector to be built with the upgrades already attached to it? How about setting all those upgradeanims as ActiveAnim and leaving out the upgrade code from the building? Posted: Sat Aug 19, 2017 7:37 am Post subject: Hey What Game is This Mod For? Hey What Game is This Mod For? Posted: Sat Aug 19, 2017 11:53 pm Post subject: Re: Hey What Game is This Mod For?